Emreco has created this pretty knitted pullover in a rich navy colour, making it a great choice for the Autumn/Winter season. The long sleeved pullover has an elegant fold on the neckline giving it a contemporary look. 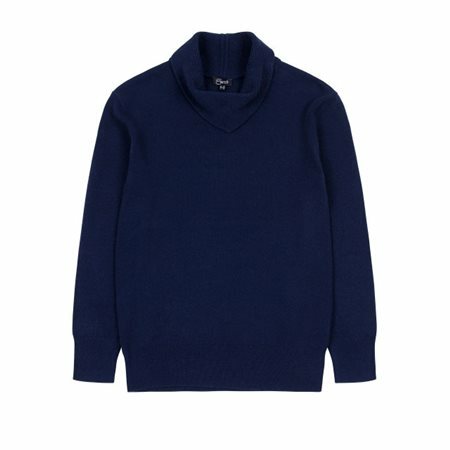 Wear it with jeans or trousers and under gilets and coats for a cosy look.